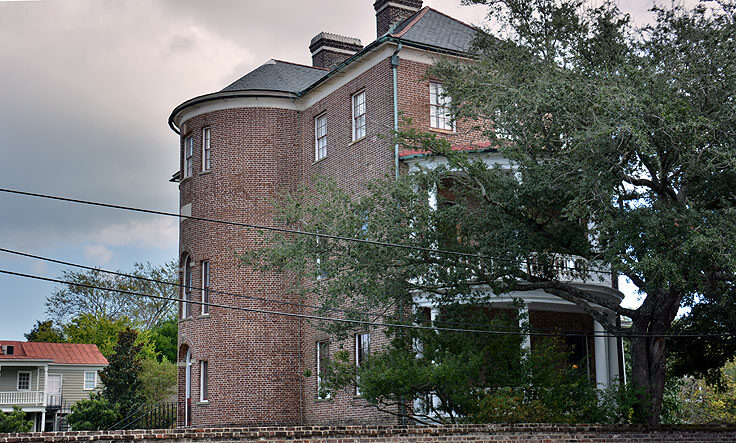 A treasure of a home that is managed by The Charleston Museum, the Joseph Manigault House is a prime example of Charleston's hardworking efforts to protect the relics of its lush, although often somber, past. The grand three story home is considered one of the best representations of Adam style architecture, (a typically 18th-century neoclassical design), and despite its central location on Meeting Street, is well known for its quiet and unpopulated tours. A true delight for interior designers, with ornate touches and authentic furnishings, this sprawling Charleston showpiece paints a complete portrait of typical pre-Civil War Charleston life, from the decadent rooms and finishings owned by the city's wealthiest residents, to the hardworking but enslaved hands that crafted them. The home was originally build and owned by the Manigaults, a longstanding Charleston family that descended from French Huguenots who fled Europe to escape religious persecution in the late 1600s, and were among the very first movers and shakers in the southern colonies. After several centuries of building rice plantations and delving into the thriving merchant trade, the Manigaults had become one of the foremost families in the state of South Carolina. In the late 1700s, Joseph Manigault inherited several rice plantations, which included over two hundred slaves, from his grandfather, and several decades later, went to work constructing his grand home in the heart of Charleston. Joseph contracted his brother Gabriel Manigault to design and oversee the construction, a wise choice considering his brother was one of the leading architects in the city, and had recently completed designing Charleston's current City Hall. The result was an antebellum masterpiece, with a towering spiral staircase wrapped around a crystal chandelier, a classic Gate Temple, and a number of outbuildings, including a kitchen, stable, pivy, and slave quarters. Slaves, sadly, played a big role in finishing this antebellum masterpiece, and the impressive mouldings and decorative finishes found throughout the home were crafted by the Manigaults' slave laborers. Considered works of art by the majority of visitors, many patrons are humbled upon realizing that these painstakingly crafted details were a result of long hours of forced work, by now unknown Joseph Manigault House residents. The rooms have also been artfully repainted to resemble the original colors as closely as possible, and virtually every nook of the house is furnished with original period pieces from the adjacent museum's collection. Furnishings include American, English and French pieces which date back the early 19th century, and outside a period garden can be spotted near the Gate Temple, as well as markers noting the location of the original kitchen and slaves' quarters. 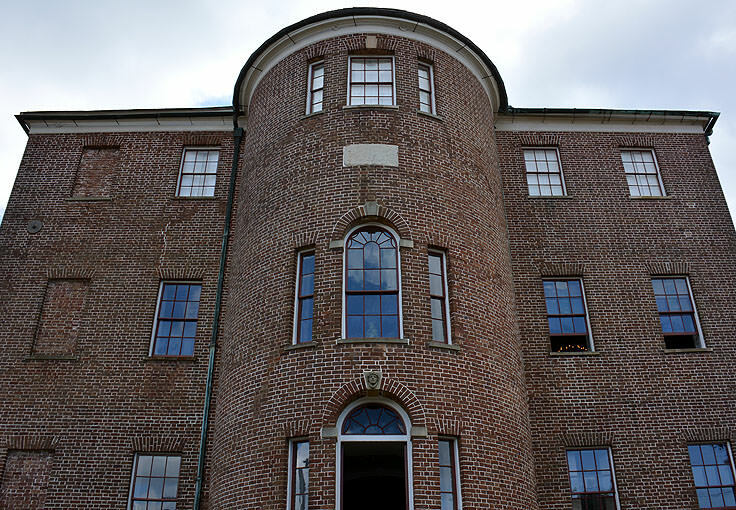 The home, with its massive brick façade and double white porticos, was always considered one of the finest in Charleston, but was almost wrecked to the ground in 1920, when the house was scheduled to be demolished to make way for a new gas station. Concerned locals who had strolled past the house for decades joined forces, ultimately saving the house, and creating the Preservation Society of Charleston. This was a landmark moment for both the Joseph Manigault house and the city of Charleston itself, as the Preservation would later become instrumental in passing the first zoning ordinances in 1931, establishing the official 138 acre Historic District, and presenting awards honoring individuals and groups who made big steps in preserving Charleston's history. The Preservation Society of Charleston was even awarded the Institute Honor Award by the American Institute of Architects in 1966, and is still found in Charleston today, with a headquarters located just a short stroll away on 147 King Street. 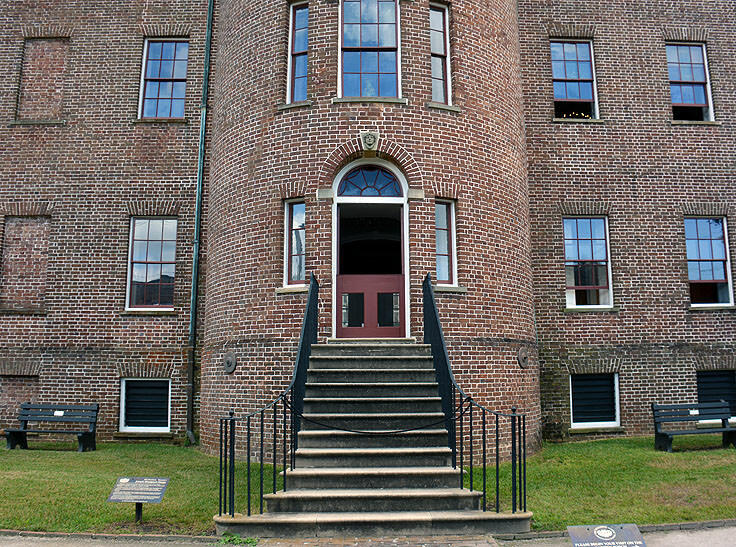 After being saved by the Preservation Society of Charleston, the structure eventually found a permanent home with The Charleston Museum, (located just a few buildings away), and after a careful renovation, opened its doors for public tours. The home is now open to visitors daily, Monday through Saturday from 10:00 a.m. until 5:00 p.m., and on Sundays from 1:00 p.m. until 5:00 p.m. 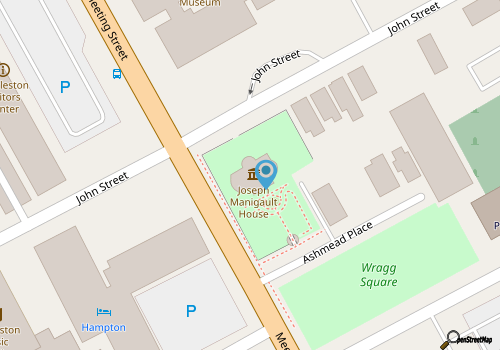 Guided tours are conducted every half hour or so, with the last tour departing at 4:30 p.m.
Tickets to explore the Joseph Manigault House are around $10.00 per person for adults, $5.00 for kids ages 3-12, and free for children under the age of 3. Tickets can be purchased online before a visit at http://www.charlestonmuseum.org/visit-tickets, and the museum also offers special "Combination Discounts" to tour all three sites that fall under their direction: specifically, the Joseph Manigault House, the Heyward-Washington House, and The Charleston Museum itself. In addition, the museum also hosts a number of special events and educational programs, including the annual holiday display sponsored and arranged by the Garden Club of Charleston. Every December, the Joseph Manigault House is decked out in a colorful display of live arrangements that would have been standard in the 19th century Lowcountry.Other programs include special tours that focus on a singular aspect of the home's history, like Women's roles in the 1800s, or explorations designed just for kids. Upcoming events can be found at The Charleston Museum's website at http://www.charlestonmuseum.org/calendar.asp. The Joseph Manigault House is a well-preserved Charleston treasure that is sure to impress any visitor with the overall grandeur, and the stories behind the scenes that cover the lives of all of the home's residents, from the wealthy owners to the unsung slaves. 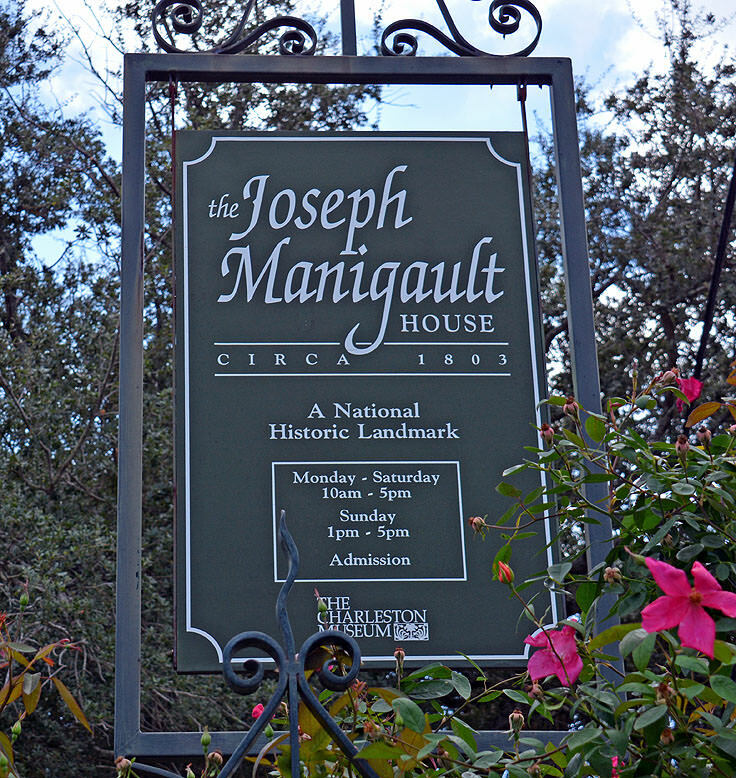 A complete portrait of all aspects of life at the top of the Charleston social ladder, the Joseph Manigault House is a favorite attraction among both newcomers and regulars alike in Charleston's Historic downtown. Art lovers will want to reserve an afternoon or two to explore the acclaimed Gibbes Museum of Art, a stunning addition to Charleston's historic district that is simply impressive both inside and out. Home to an ever-rotating and permanent collection of 10,000 priceless works of art, the historic building exudes prestige, and invites visitors of all ages and interests to peruse at their leisure, and discover something beautiful, historic, and inspiring at this distinguished and massive Charleston County collection.